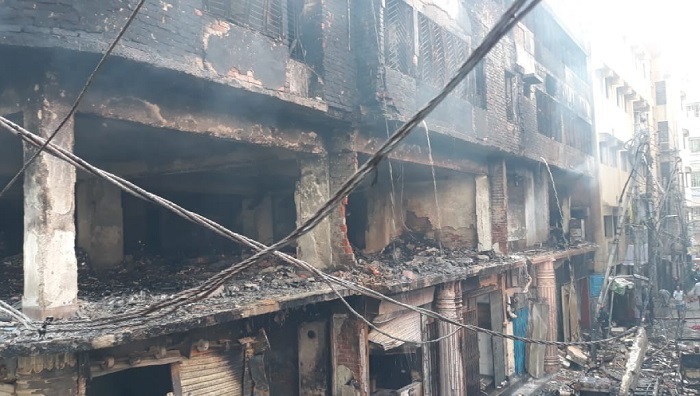 The four-member committee of Ministry of Labour and Employment has identified a total of 35 workers from different sectors as victims of the devastating Chawkbazar fire. Among them, 25 were killed and 10 others injured, press release said on Monday. Meanwhile, State Minister for Labour and Employment Munnujan Sufian declared each family of the victims who were killed in the fire will get Tk 1 lakh as compensation while each family of the injured will be given Tk 50,000. The Criminal Investigation Department (CID) at a press conference on Monday said it will take 15 days to find out the identities of 14 bodies among 19 still unidentified. Regarding the others, decision will be taken within three weeks. In the meantime, the department has collected 32 DNA samples, from relatives of the deceased fire victims, for cross-matching. Among 67 deceased, 48 bodies were handed over to their families.